DAVID LE/Staff photo. 4/17/15. Peabody senior Bobby Caproni (5) rifles a shot past Danvers senior goalie James Curley for a third period goal. 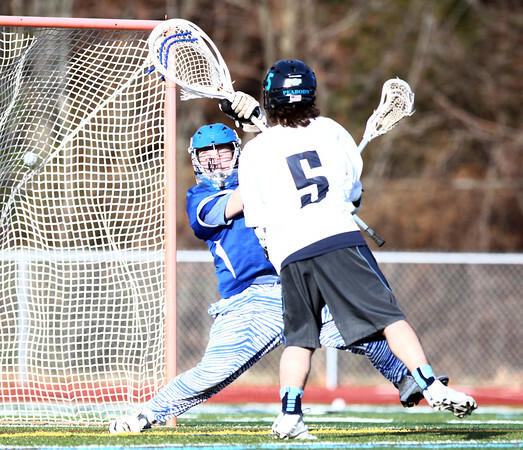 Caproni scored the overtime game-winner to give the Tanners a thrilling 10-9 victory.